The adoption of a new criminal procedures code in the Dominican Republic is bringing about institutional and organizational transformation needed to modernize the country’s judicial sector. 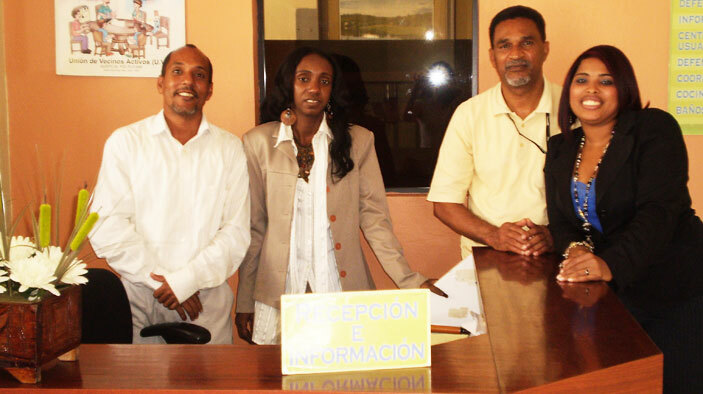 Through Proyecto de Justicia de USAID, DAI helped the Dominican Republic’s justice institutions implement the new code by providing assistance in policy making, administration, and operations management. We collaborated with participatory working committees to develop and then advocate for technical and training approaches, used data-based management to ensure that process improvements are measured quantitatively, coordinated with other programs to strengthen civil society participation, and communicated the activities of the project throughout the justice system. Improve service delivery and upgrade human resource capacity in key justice sector institutions (judiciary, prosecutor, public defender, and police). Support the creation of a locally owned strategic plan for the justice sector. Train and mentor on the duties and responsibilities of justice sector operators under the new criminal procedures code, and improve key elements of the justice process. Increase the capacity of civil society organizations to comment on justice sector issues and provide system oversight. Through a grant program, ensure that the community-level Casa de Justicia program—which seeks to improve access to justice—is fully evaluated, and support efforts to sustainably institutionalize and expand the program. The Innovare Institute of Brazil in 2010 awarded the Judicial District of La Vega (one of the management models assisted by the project) a prestigious “Innovare” award, a source of great pride for the Dominican Judiciary. Assisted the Offices of the Criminal Courts in the Judicial District of Puerto Plata to establish the new management model. Four of the five judicial districts that have applied the management model have been assisted by USAID and the staff of the Justice Project. Enhanced the Jurisbook, a case tracking and management system, to provide computer-based, automated management of hearings, as well as establish a common calendar for prosecutors, judges, and defenders. By using telephone and web-based notifications, the new management models are pioneering the use of technology to further advance the goals of the justice system.